When I received an unexpected email detailing the upcoming release of Nikki van Schyndel’s Becoming Wild, I was ecstatic. I had heard about the book seven years prior, but it had practically become an urban legend. Drawing upon my own experience and occasional lack of follow through, I had long ago concluded that the book was probably just a dream Nikki held that would never come to fruition. As is often the case, Nikki proved me wrong. Nearly a decade after the initial birthing of an idea, Nikki’s book has arrived. The wait was worth it. 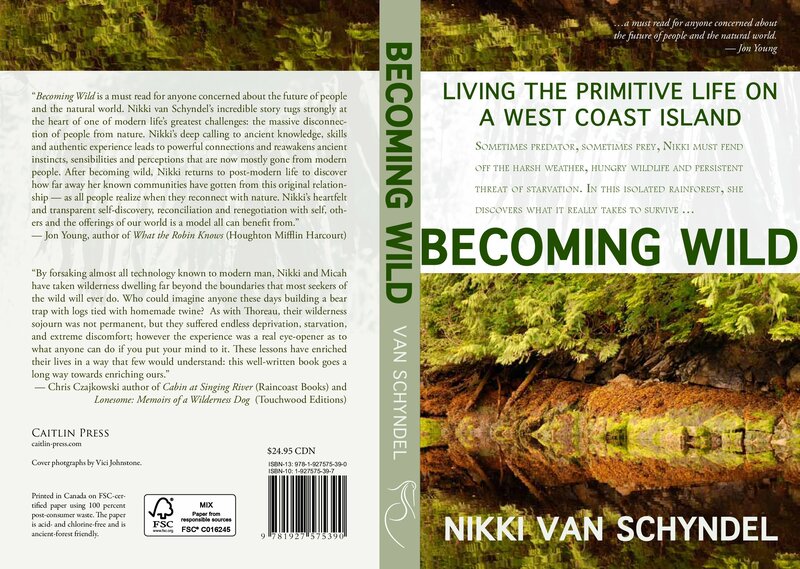 Becoming Wild is a book written by Nikki van Schyndel based on her time living off of the land with close friend Micah Fay. The bookis organized in three distinct parts; each part is based upon a specific leg of Nikki and Micah’s journey and consists of different chapters. Chapters typically have one “focus” or primary story that drives the overall content. Interspersed throughout the chapters are pictures from their time; fragments of Nikki’s journal entries that detail keen insights about her experience; and short recipes/guides for outdoor enthusiasts. The book is masterfully comprised. The stories carry a thrill and excitement akin to a Hollywood film, but narrated with an authentic voice; the pictures demonstrate the fine craftsmanship of Nikki and Micah and the beautiful landscape they were a part; and the guides/recipes provide just enough useful information to be of value for those interested exclusively in traditional crafts. I am positive everyone can find something of value in Becoming Wild. Who is Nikki van Schyndel? 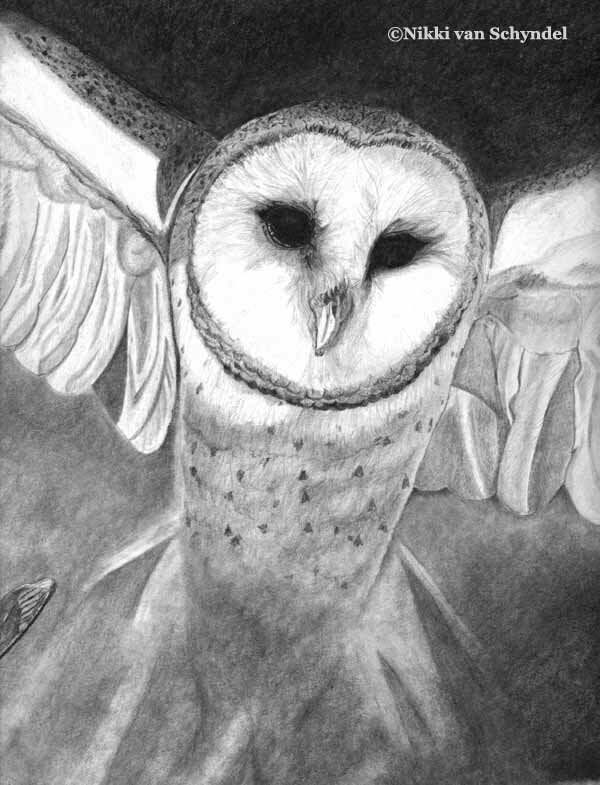 Nikki van Schyndel was the subject of Joanna Powell Colbert’s art piece entitled “Explorer of Earth” after the author returned to Wolf Camp from her 2 year traditional living experience. The About the Author section of the book does not do Nikki’s accomplishments justice. Yes, she is a graduate from Dominion Herbal College in British Columbia. She runs her own adventure program called Echo Bay EcoVentures. Nikki has also, of course, accomplished what only a few claim to have: living a traditional life off of the land. For me, though, Nikki’s personal accomplishments are not as important as her time working for Wolf Camp and Wolf College. Nikki was one of my instructors and her tutelage went far beyond teaching me the skills I needed to survive in the woods and track wild animals. Before her book ever came out, she shared her experiences with me and others around campfires and constantly reminded us our dreams were possible. She was living proof of that. Nikki embodies what so many of us dream. She carries a spirit that relentlessly chases her life goals and inspires others to do the same. Beyond that, she provided me valuable counsel during a time when I was struggling to come to terms with a world that did not have share my same values. A world that had not experienced the same miraculous wildlife encounters. She was familiar with those feelings and encouraged me, and others, to teach the skills that had changed our lives. Nikki is one of the reasons many of us worked to become Wolf Camp instructors. That is what makes Nikki such a rare and special individual, she could have been satisfied teaching and leaving. Instead, she became a friend and a mentor and continues to inspire us today. Why is Becoming Wild a Must Read? The stories are, appropriately so, Wild. One, aptly titled Trapping Bruin, details the horrific and necessary task of trapping a wild bear for food. Another, Sea Monsters, recounts the battle with a 120 pound halibut and the sobering lesson that followed. After falling victim to the rush of defeating a 120 pound behemoth and the ego rush of “The Big Catch”, Nikki and Micah quietly reflect on the value of life. Nikki writes, “The halibut taught me to examine my actions and goals, to make sure I wasn’t doing things for the wrong reasons. I realized how many thoughts, words, and actions were ruled by my gloating ego’s triumphing spirit” (146). It is here the book could have fallen victim to an esoteric preaching, but it does not. Nikki’s experience is too authentic, too rich, and too real to do so. It is not just a story about survival and triumph, though both of these certainly exist. It is filled with humorous quips and snarky remarks that friends of Nikki will smile at and appreciate. Most importantly, it is a story filled with insight and respect for that which gives life. A story that, as you read, leaves you nodding your head in agreement with newfound perspective. What Are Becoming Wild’s Short-Comings? The amazing experiences Nikki describes in her book didn’t just happen during her primitive living experience. Nikki always had a knack for finding and attracting animals while studying at the Wolf College, then journaling everything with stunning artistry. So, where does Becoming Wild come up short, if anywhere? My only disappointment with the book was the ending. It felt a little rushed. That is not to say that Nikki did not do a good job with the ending, because she did. Her return is well detailed and her struggles documented in a meaningful way. The disappointment is mostly a selfish one. As you read Becoming Wild you often feel like you are perched upon Nikki’s shoulder; you share the experience with her. As she and Micah desperately fight against elements, you fight against elements. 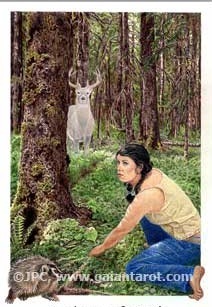 As she and Micah cower in their shelter listening to the roar of an angry cougar, you cower with them. The reading experience is visceral, but the ending is not. As a reader, you never really understand the intricacies of her relationship with Micah or the struggles both of them face when they return from an experience that clearly changed them forever. It is a necessary protection of Nikki’s personal life, but it is a noticeable change from the frankness of the rest of the book and it leaves something to be desired. Alongside Braiding Sweetgrass, I consider Becoming Wild one of the most important books in recent memory. The book is a quick and exciting read, but holds gems that leave you thinking long after you have set it down for the evening. Months later, I still find myself pondering some of the things Nikki wrote. The book is a small step toward changing how human beings interact with their environment. It is well worth the day of time it takes to read. Reviewer Patrick Wiley first came to camp in 2004 and experienced Nikki’s teachings in 2007. Like Nikki in 1999, Patrick completed our Outdoor Skills Apprenticeship in the summer of 2007. In 2008, he served as an assistant camp instructor and became our youngest-ever lead instructor in 2009. He graduated from the University of Oregon in 2014 and most recently, he completed the basic Professional Mediation and Conflict Management Training through Community Mediation Services. Patrick will teach a number of courses for Wolf Camp this summer.